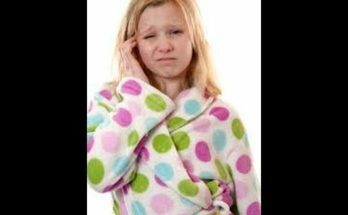 Causes and Treatments for Tinnitus (ringing in your ears) It is important to know that these types of sounds originating in your head and cannot be heard by others are in reality an external stimulus called tinnitus, and is something which nearly 90% of the world’s population has experienced at one time or another. For some people this curious phenomenon can be a real problem if it becomes persistent, something that disturbs their daily lives. According to experts, this chronic illness affects some 3% of the population. Why does it happen? What is the root cause of tinnitus? And even more important, are there treatments for tinnitus?. What are the causes of tinnitus?. In the first place, we should have clearly in mind one important aspect: tinnitus is not a disease, but a symptom of an underlying problem that we may not be aware of yet. Although, as we have said, tinnitus is something that nearly everyone has “noticed” on occasion, it is always interesting to know what causes the ringing to prevent it and stop it from becoming an everyday problem. 1, Be careful with loud music played in headphones. This is, without a doubt, an important warning for all those that have the custom of listening to music from their electronic devices with the volume way too high. Certainly this has happened to you at one time, perhaps while playing sports or walking while listening to music with headphones. When you remove the headphones, you hear a kind of ringing in the ears, something brief but annoying. What is the cause of this? Basically, it is an over-stimulation of the auditory nerve, although occasional, it can become a problem if we subject our ears to loud sounds very often. 2, Vascular abnormalities in the head and neck. This is something curious but very real. Tinnitus is caused by the vibration of the tissues that surrounds our ears or by a lapse in our auditory system, where the nerves are extremely important. Some people have small vascular abnormalities in the muscles around the ear and jaw itself, and frequently even after a whiplash or a small contraction in the neck, and then they start noticing those annoying sounds in one of their ears. Generally it is something temporary but, sometimes, due to our own facial anatomy, the arrangement of facial muscles and nerves, it is possible that some may be more prone to suffer from tinnitus with greater frequency. Menieres syndrome is a disease that affects the inner ear. It causes inflammation, vertigo, dizziness and hearing loss. With this type of illness it is more frequent to suffer from tinnitus. Since Menieres syndrome is a grave problem, specialist will work to resolve the issue in order to provide you with a better quality of life, if that is your situation. Generally, Menieres syndrome causes a progressive loss of hearing, but today there exist a variety of treatments that are having good results. There are many people that experience tinnitus due to a very particular reason: at night, when everything is silent, they begin to hear a constant pulsing sound. And it even common to hear buzzing or something like the current of a river. This is our blood pressure. If this happens to you frequently, go see your doctor. This is a symptom that should never be overlooked. Are you surprised? Well, elevated stress and anxiety that lasts for weeks, or even months, can end up as a variety of symptomatology and sometimes become something as curious as tinnitus. It is important to know that these processes of stress normally generate a high muscular tension and it is frequently concentrated in the facial and jaw muscles zone, which cause, for example, gnashing of the teeth and a tense mouth. Hence, all those who suffer bruxism also experience this kind of ringing in their ears which must be taken into account!. In order to adequately treat tinnitus we must first know what it produces. Sometimes vasodilators medications are often prescribed to promote proper blood circulation. However, it should always be our doctor who offers us the best treatment, especially, if your problem is associated with hypertension or if, for example, you suffer from some other serious hearing problems. In case you suffer from stress and you have noticed that at night you grind your teeth and suffer from bruxism, it is a good idea to use a dental splint, thus as you start to better manage your emotions and your sources of stress. Currently some interesting musical therapies are being tested in order to relax and reduce the frequency and intensity of the beeping. There are some, for example, who find great relief by listening to “white noise. 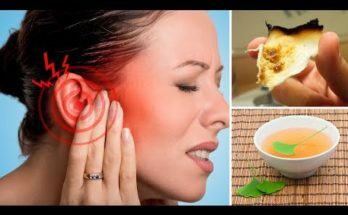 Finally, it is important to know that, in order to treat tinnitus, your diet is always a basic case. Why? In order to avoid inflammation, improve blood circulation and to provide a general balance. If you also employ relaxation therapies, you will get a more holistic approach by which to achieve a better quality of life. Take note of what you should do:. Eliminate red meat and processed foods of foods with preservatives from your diet. Do not eat fried foods or spicy foods. Leave salt and white flour off your plates. Do not drink alcohol or carbonated sodas. Increase your consumption of fresh fruits and vegetables, and also of whole grain breads, nuts…. Next Article What does the liver do?